As you do these (at first slightly unusual) things, repeat the statement in between as best you can to keep yourself focussed on the problem in hand. The eye movements are linked to various brain functions and the reason for the humming-counting-humming manoeuvre is to switch between hemispheres quite quickly; both are designed to "wake up" your neurology so the tapping can go to work on the problem. 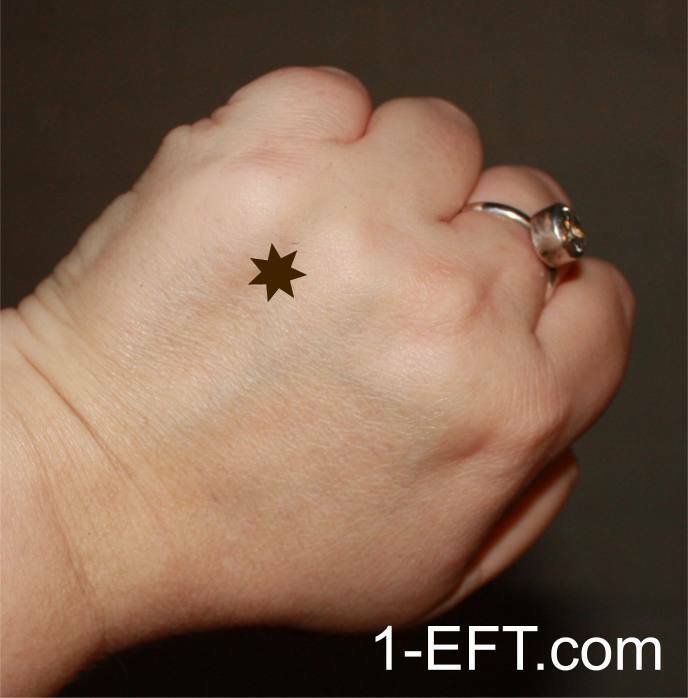 The 9 Gamut Point can be found just behind the knuckles of the little finger and ring finger on either hand.